Driving for the first time as a parent is probably one of the most stressful situations you can experience. The craziest part is that you know how to drive, you’ve been doing it for years. But suddenly having this little gift in the car with you makes you appreciate how important it is to be as safe as possible. That safety shouldn’t just extend to your driving, but for your car as well. 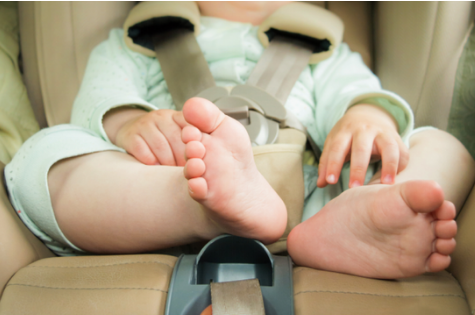 If you are a new parent or an existing parent, use these tips to help keep your car as safe and secure as possible. While this may seem like a very obvious way to keep your car safe and secure, but regular maintenance is key. How many times have you let your car go past the ‘recommended’ date? For most of us, the answer is probably more than once. The key to keeping your car as safe and secure as possible is to make sure you complete your SSC mechanics car service on time. By completing services on time and kilometres driven, you will ensure you don’t overextend any of the parts which maintain your vehicles performance and safety. It may seem like a small issue, but if left beyond recommended time frames your car can be exposed to serious damage or safety issues. One of the more forgotten tasks that every car owner should complete in checking tyre pressure. A lot of people assume that unless their tyre is completely flat, then they don’t have a problem. But a slow leak in a tyre can cause issues without you ever really noticing. One of the key issues with an under inflated tyre is overheating. Overheating can lead to poor road control which is sure to put you and any passengers, big or small, at risk. It is important you consult with your mechanic or vehicle manual to identify the optimal pressure for your tyres. Once you know the ideal pressure, make a routine of checking the tyre pressure at least once a month. Another simple yet effective way to keep your car as safe and secure as a parent, is to check the fluid levels regularly. Most car models today make this job very simple. It does require you to check under the bonnet, but that is almost the hardest step of the task. Next time you are checking out what is under the hood of your car, be sure to check all the fluid levels. A few of the important levels to check are the coolant level in your radiator, which stops the car from overheating. Additionally, checking the power steering fluid and oil levels are also important in maintaining safety which babies on board. Each fluid plays a critical role in ensuring your car is functioning at its peak performance and safety levels. Most models now include indicators of “full and “low” on each of these fluid containers. If any of these indicators are “low” then consult with your mechanic to fill up, or head to your local car parts store to purchase the necessary fluid to refill. Maintaining your car for safety and security should be a priority for all car owners. However, sometimes things can stop us, like cost or expertise. But maintaining your car’s performance to ensure safety doesn’t have to be complicated. Making sure you keep up maintenance as per your log book and routinely checking tyre pressure and fluid levels are small tasks which can keep your car as safe and secure as a parent - all year round. Results of latest tests on child car seats.